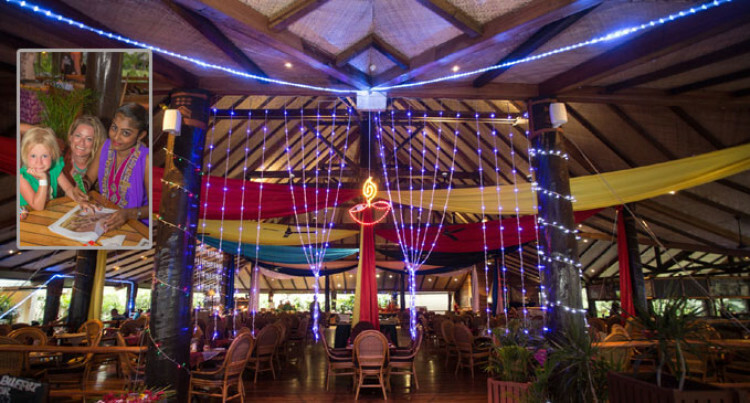 Resort guests staying at Outrigger on the Lagoon Fiji were treated to a feast of international standards when the resort celebrated Diwali on Thursday evening. The main buffet restaurant was decorated with colorful lights and all of the staff dressed in their favorite Diwali outfit. Expat Indian sous chef, Gulshan Kumar provided an extraordinary feast of classic Indian dishes for the guests staying at the resort.